These pictures are well over 2 years old and I finally got around to getting them in a layout. Correction… I already scrapbooked them and hated it so I threw the page out. It was much to dark and busy for my liking. So I reprinted the photos, minus the 1 of me. With 2 4×6 pictures on the page it looked less busy than 3 cropped ones. 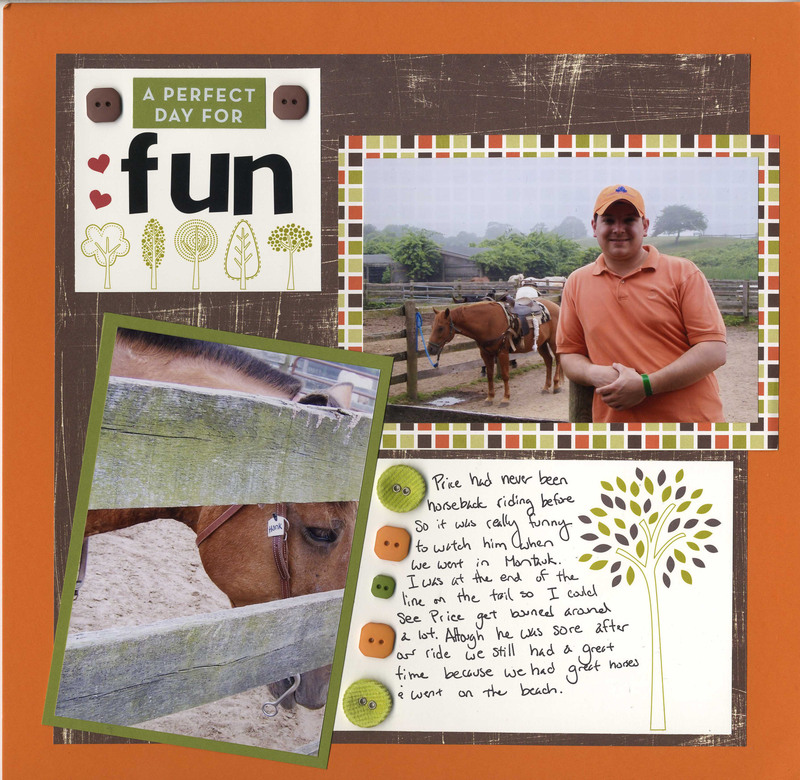 Plus I was wearing a blue and red stripped shirt- it really contrasted Price’s orange and I wanted him to the be focus since the story was more about him and his first time horseback riding. Remember! 20% of all merchandise totals of the months of Sept and October will be donated to Susan G Komen. Support Breast Cancer research and get crafty!! Leaving me a comment explaining you want some info if you are interested in placing an order.